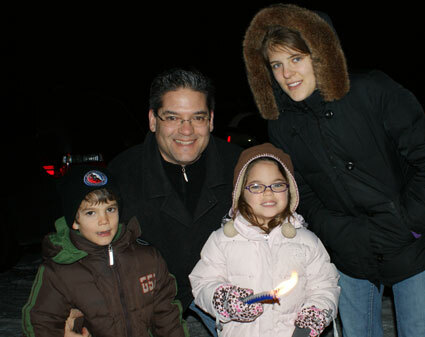 Our Temple Emanu-El Shabbaton concluded with a Havdalah service under the stars on a crisp, clear evening in February. Ella holds our family’s candle just before it is extinguished in the wine cup signifying the end of Shabbat and the beginning of another week. For more information and pictures from the Shabbaton, visit the Lomdim site.